Starting a new series today, 'Scarf Profiles'. 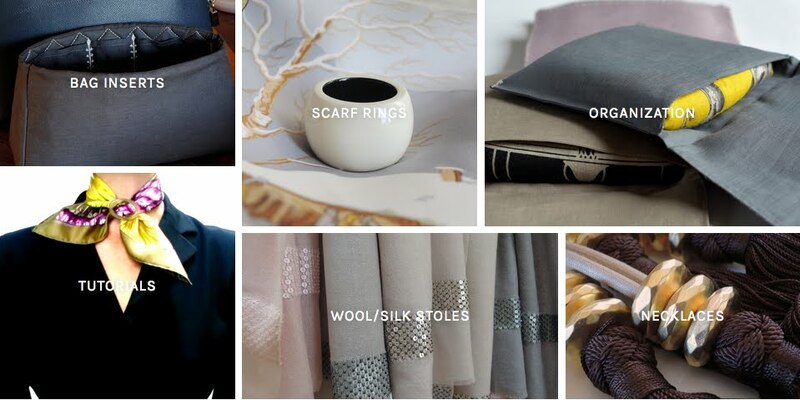 Each episode features a different scarf from my collection, with detail shots, infos and a collage of my favorite ways to wear it. 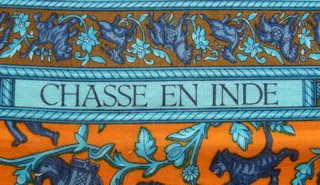 Starting off with Chasse en Inde. Hope you enjoy! What a great idea, Maitai - I'm so looking forward to enjoying all the coming scarf profiles! On the day of my birth, my dear grandmother started some collections for me: Chanel No 5, White Shoulders and Hermes scarves. 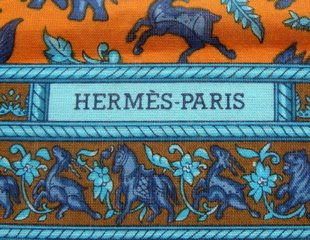 Over the decades I've collected many Hermes scarves without knowing their names, only that I love colors and/or designs. I can tell I'm going to learn a lot from your blog, and for this I thank you in advance. 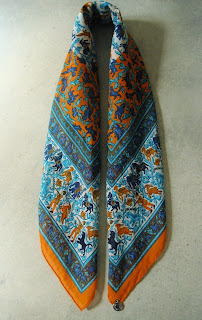 As for today's scarf, 1986 was the peak of my Hermes fascination and how I missed this scarf with dangling charm is beyond me! P.S. I am sharing links to your blog at Twitter, where I post as @ParisGetaways. Many Francophiles, Parisphiles and Hermesphiles would welcome you--join us! This is fabulous!! Thank you for sharing this amazing piece with the charm, I cannot wait to see all the scarf profiles coming up <3 Being so new to H, I have so much to learn, and there is no other person I'd rather learn from :) Have to say, these colours look great on you too! I add my thanks and gratitude to the others! Your postings are a lovley source of light and colour which I especially appreciate given the approach of the"darker" months of winter. great idea MT! 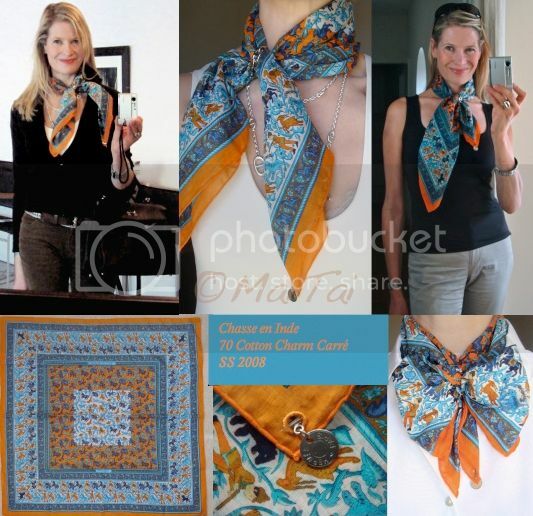 I can't wait, I do have this cotton scarf and your pics are very helpful! Hello Anna, how nice to be scarf twins with you :-) Glad to hear you liked the soup, it is one of my favorites! Fabulous post/series! Thank you for sharing. Gorgeous! Love the orange and blue together in just the right combo.